Do you want to learn more about the special place known as the Split Rock Wildway and pick up the perfect stocking stuffer for your conservation-minded friend or family member? 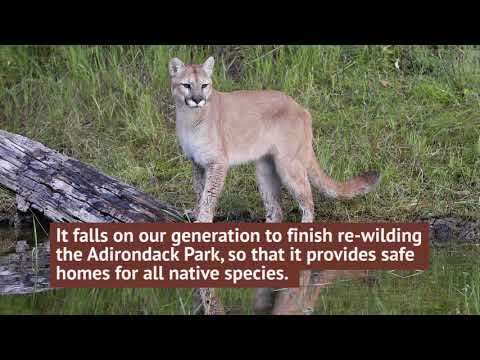 Longtime Wildway advocate and author John Davis just released a new book Split Rock Wildway: Scouting the Adirondack Park’s Most Diverse Wildlife Corridor. Davis and an all star cast of local artists have showcased the ecological importance, conservation value, and natural beauty of Split Rock Wildway. This accessible guide examines many of the charismatic and enigmatic wildlife thriving in the wooded hills and adjacent waterways that link Lake Champlain with the Adirondack High Peaks. A portion of the proceeds will support Northeast Wilderness Trust’s efforts to conserve more lands in the Wildway! You can watch a trailer on the book, below, to learn more. This entry was posted in Featured News, General, New York, People, Science, Split Rock Wildway. Bookmark the permalink.